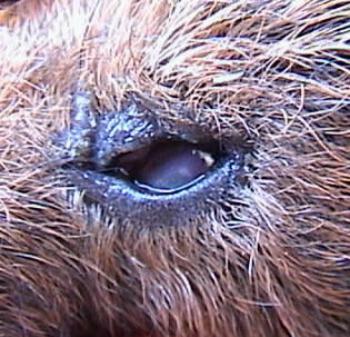 What is wrong with the eye of this young guinea pig? What inherited breed characteristic might be responsible? 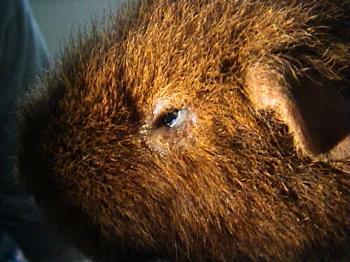 The eye has severe ocular surface disease, associated with the harsh hair coat of these rex guinea pigs, as shown in this wider angle photograph of the whole head. Breeders generally use KY gel to smooth the periocular hairs back right from birth and prevent irritation of the cornea.